Welcome to the operations update for May 2017, our ongoing series of updates on what's happening at the OWASP Foundation. The previous post is available here. OWASP IT Infrastructure hosting - Rackspace ended the donation of hosting for the OWASP Foundation, migration and updates continue. POC install of the wiki infrastructure on AWS is scheduled to begin mid-May and was pushed to accommodate the AppSec EU conference, the EU server migrations and the work on Discourse. Research continued into the current 'organization' of the wiki and POC's for the category hierarchy have been conducted. TLDR: Host 4 trainings worldwide of ~500 attendees geared towards developers and entry-level security professionals - further details on the wiki. 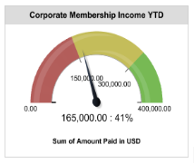 Note: Membership module will require custom development to fit our needs. The effort has been scoped, contracted and work has begun. An updated version of the AMS used with Salesforce allowing for greater interactions with the community, OWASP leaders engagement, improved event registration, multi-currency handling and a host of other improvements rolling out in 2017. Project Blog Post: OWASP Top 10 2017 Release Candidate - Speak now. Successfully brought to a close and currently collecting feedback from the chapter leaders on attendee numbers and lessons learned. Invoicing and expense reimbursements is ongoing. New Chapters: OWASP would like to welcome the new chapters in Kyiv, Sukkur, Senegal and Da Nang. Since September all new chapters were requested to have an Orientation meeting via GoToMeeting. Since then these meetings have been refined into a series of standing one on one appointments for any Chapter Leaders starting a new chapter, any new chapter leaders who wish to join, and any current leaders who want to take a refresher. So far reactions have been good. 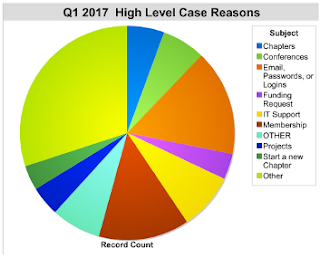 Many experienced chapter leaders have expressed a wish for this when they got started and follow up emails with procedural questions have dropped from an average of 5 per new chapter to 10 total in the last 8 months. 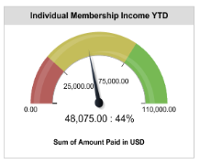 We have also seen an uptick in new chapters using funds and getting multiple leaders on board. All of these are indicators of early chapter health. Board members, and staff, and community can read the draft of the orientation outline. The document will be made public in the form of the Chapter FAQ in the next few weeks. We are also using this outline to better our communication with parts of the world where English is not a viable business language. At this time we have had our first Pan LATAM meeting and are planning our first Japanese meeting after AppSec Europe. The OWASP Leaders Meeting @ AppSec EU will unveil the sneak peeks of our new communication platform and the new AMS. 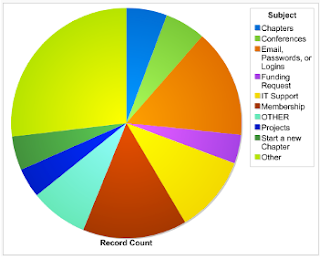 These will streamline chapter communications and allow Chapter Leaders to gain more insights and control of chapter activities. Join us in Room One at 18.45 on May 10th in the waterfront center. Per the request of the OWASP board, we've included a chart of the staff's interaction with the broader OWASP community via submitted cases to the Foundation. 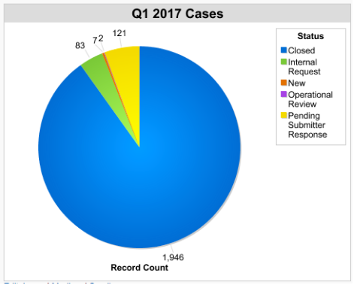 On April 11th, case number 10,001 was submitted - over 10,000 cases handled by the OWASP staff - impressive! As always, the OWASP staff are here to make the OWASP community even stronger. If you have a question, concern or need please let us know using the 'Contact Us' form. Also, feel free to attend, suggest or otherwise engage with the OWASP Foundation further at the May 9th Board Meeting. Editor's Note 5/12/17 1.23 BST: Previously this post identified Delhi as a target city. The correct city is Bangalore. Can someone provide an update on Code Sprint 2017? Student application submission is not open currently but will open on May 15th. " Thorin, There is an update to the code sprint coming out on Thursday, and you can reach out to Claudia to get further information in the meantime.